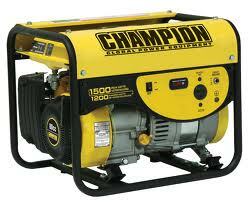 Generators offer reliable power when you experience a power outage or need that extra power. 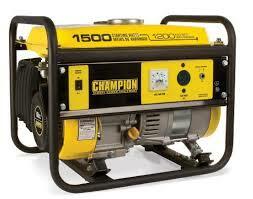 When you go camping or travel a generator offers you power without having to be plugged into or pay for electricity. There are a number of generators that are portable and can be used specifically for RV and travel trailers. Here are some of the best generator for RV and travel trailer. See our New Best Generators For Small RV or Camper 2015. 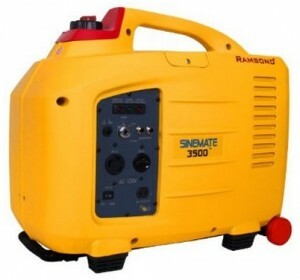 If you want to seem more portable generators, check out our portable generators reviews here. 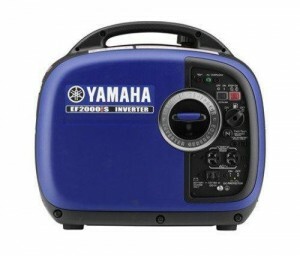 This user friendly Yamaha EF 2000IS Gas Powered Portable Inverter Generator is ideal for using in an RV, trailer, or powering delicate machinery. It runs up to 12 hours without being refueled and it has a low oil warning system. It has a noise absorbing glass wool construction for minimizing noise level. This machine weighs 44 pounds and comes with a two year warranty.It received 4.5 stars from 175 Amazon reviewers and costs about $1000 online. It has an ergonomic design to reduce fatigue. It runs 2,000 watts maximum. This Champion Power Equipment 42436 Portable Generators received 5 stars from Amazon reviewers and costs about $190 online. It is quiet, lightweight at 56 pounds and portable. It runs at 1,500 watts maximum and 1,200 continuous. It can run up to 10 hours on a full tank at 50 percent load. It comes with a two year limited warranty. It has a low oil sensor and volt meter. It has a cast iron sleeve that helps protect the engine and has an overload protection for a longer life.It is EPA and Carb approved and is sold in all 50 states. It comes with one 120 volt outlet. This is one of the best generator for RV and travel trailer as it is portable and easy to use. 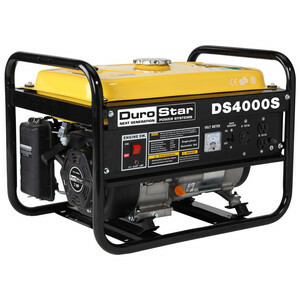 This quiet running Durostar DS 4000S Gas Powered Portable Generator at 69 dba is ideal for traveling. It is EPA approved, but non carb compliant and not sold in the state of California. It comes with a one year limited warranty. It is not only good for traveling but for at home use as well. It has an air cooled four cycle OHV 7 hp engine. It runs on 3,300 watts continuous and 4,000 watts surge. It has an EZ pull recoil start along with a 4 gallon tank. This generator can run up to 8 hours on a half load. It has an automatic oil shut off to help protect the life of the engine. It costs about $330 online and it received 4.5 stars from more than 185 Amazon reviewers. This Champion Power Equipment 46533 Gas Powered Portable Generator is considered one of the best generator for RV and travel trailer as it is portable and has multiple features. It costs about $330 online and received 4.5 stars from Amazon reviewers. It is carb complaint and sold in all 50 states. It runs on 3,500 watts rated and 4,000 watts maximum output. it can run up to 12 hours on a full tank at 50 percent load and it weighs about 110 pounds. A two year limited warranty comes with this generator at time of purchase along with one 120 volt outlet, one 120 volt twistlock, and one RV receptacle. It has a 196cc OHV 4 stroke engine that is protected by a cast iron sleeve. These are all among some of the best generator for RV and travel trailer. Depending on what you are looking for will determine which one will work best for you.